MABU worked closely with North Dakota Studies Program, a branch of the State Historical Society. After reviewing pre-existing textbook content, MABU determined that a Drupal-based framework was the best platform to build and host web-based textbooks and other courses. 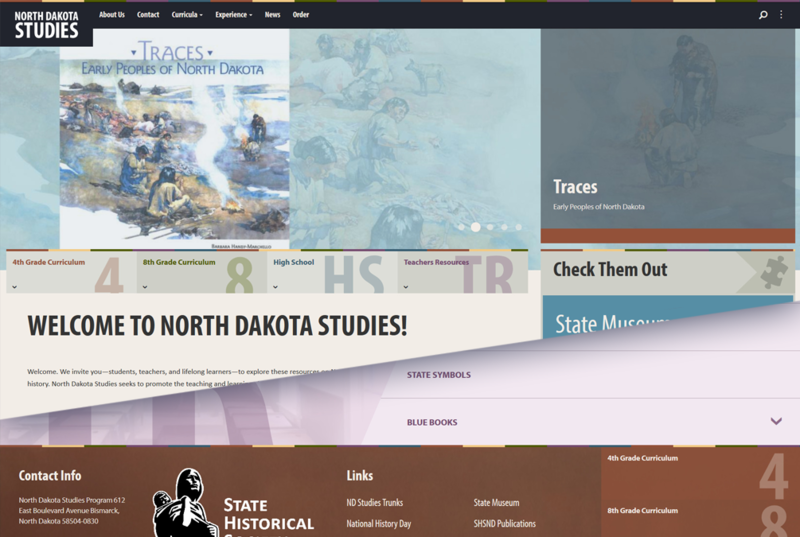 Built on the robust Drupal CMS, the website hosts lesson plans and access to educational outlets approved by the North Dakota Studies Program. The site’s focal point is the collection of e-books, transferred and organized entirely by MABU to suit the online format. They are presented in a responsive layout, so the pages are displayed accordingly to the resolution of whatever device the student is using. Every year, students in 4 th and 8 th grades explore lesson plans that range from the early settlement of North Dakota to frontier life to the current-day industries that shape the state’s economic backbone. The resource continues to be valued by students and teachers alike for its ease of use and interactive features thoughtfully placed throughout.